Why get a goose? The goose has relatively little meat, lots of skin, a huge amount of bone, and a very large amount of fat. However, the meat is very nutrient-dense and filling, and absolutely delicious when properly cooked. The crisp skin is even better. 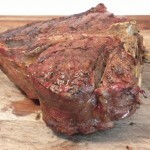 The bones and fat give incredible flavor to the meat, and have many uses of their own. We get so many benefits from every goose. We had a wonderful roast goose yesterday, for Christmas dinner. But that was just one of the benefits provided by this most delicious bird. My ancestors would use the whole goose, for food and other purposes. So I decided to do the same. I was delighted to find how many benefits could be provided by a single goose. We bought the goose so we could have a traditional Christmas dinner. The goose not only provided the delicious main course, but also contributed to the stuffing and gravy. The goose was supposed to be naturally raised. I examined the liver of the goose. The liver was firm and clear, a sign of a healthy bird. The ancient Romans used to examine the livers of chickens before a possible battle. A clear liver was the best omen. I think of it as a sign of a healthy goose that will be nourishing and tasty. The goose itself provided the main course, a roast goose. I removed the interior fat and set it aside to render into liquid goose fat. The liver and heart were minced, and reserved for the stuffing. The neck and other giblets were set to simmer in a quart of filtered water, to provide a stock for the gravy. I stuffed the goose with a sage, onion, and apple stuffing, moistened with plenty of whole pastured eggs, using cubes made from sourdough spelt bread, and mixed in the minced liver and heart. As the goose roasted, it released a huge amount of fat into the pan. I removed the fat from the pan several times, and saved it. When the goose was ready, the kitchen was filled with a wonderful aroma, and the crisp skin made it a most appetizing and beautiful sight. In fact, the goose looked and smelled so good we forgot to take a picture of it. When it was time to make the gravy, I used goose fat drippings from the pan, along with sprouted spelt flour, as a base for the gravy, along with the goose broth made from the neck. Browned drippings from the pan were used to color the gravy and enrich its magnificent flavor. The crisp skin and flavorful, tender meat of the goose were absolutely delicious, greatly enhanced by the stuffing and the very flavorful gravy. Goose is a very nutrient-dense meat, and very satisfying. We all felt wonderful after the meal. Goose bone broth, slowly simmered to perfection over many hours, is one of the tastiest of broths. We also had a lot of meat and skin left over, as well as stuffing and gravy. I trimmed the skin, and a fair amount of the tender meat from the carcass. This would be used for a goose casserole. The rest of the bones, including the wings and the wing tips, and the sizable carcass, went into a large stockpot for goose bone broth. I started the broth early this morning, and it will simmer slowly into the early evening, so all the nutrients and flavors will release into the broth. This will give us many quarts of delicious, nutrient-dense, goose bone broth. Goose casserole will be for lunch. I will chop the goose skin and meat into small bits, and add it to the stuffing and leftover gravy, with some more liquid from the simmering broth pot until it is just the right thickness. The mixture will be slowly simmered until it is hot and tender, and will be delicious. I know, because I have done this before. I rendered the fat I removed from the goose, which turned into a nicely colored yellow liquid. I saved this in a mason jar, along with the goose fat I collected during the roasting process. Goose fat has many uses. It is great for cooking and marinating. 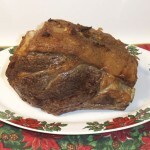 It has a somewhat beefy flavor, and can really enhance the flavor of all beef, from steaks to roasts to pot roasts. Potatoes roasted or sautéed in goose fat are a favorite dish in many European countries. 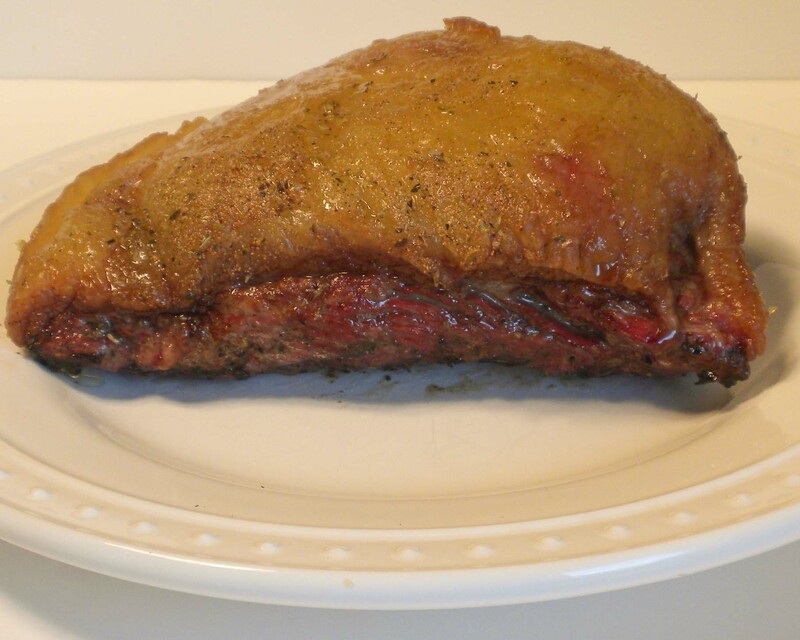 Goose fat is wonderful for sautéing any kind of beef, and is perfect for caramelizing vegetables. You can also use goose fat to baste any roast meat, and it gives great taste and crispness to roast chicken. The ancient Greeks and Romans used goose fat to treat their wounds, and reported it was very effective. The same peoples would rub goose fat into aching joints and muscles, and considered it to be a very effective remedy. I have no personal experience with this, but these ancient peoples used it for those purposes. Cool goose fat is a terrific moisturizer, being particularly soothing for dry winter skin. It will make you smell a bit like goose, but is very soothing. So as you can see, we got a great deal of benefit from our goose, and we will be enjoying the flavorful fat and delicious broth for some time. Our ancestors knew just what to do with a goose. 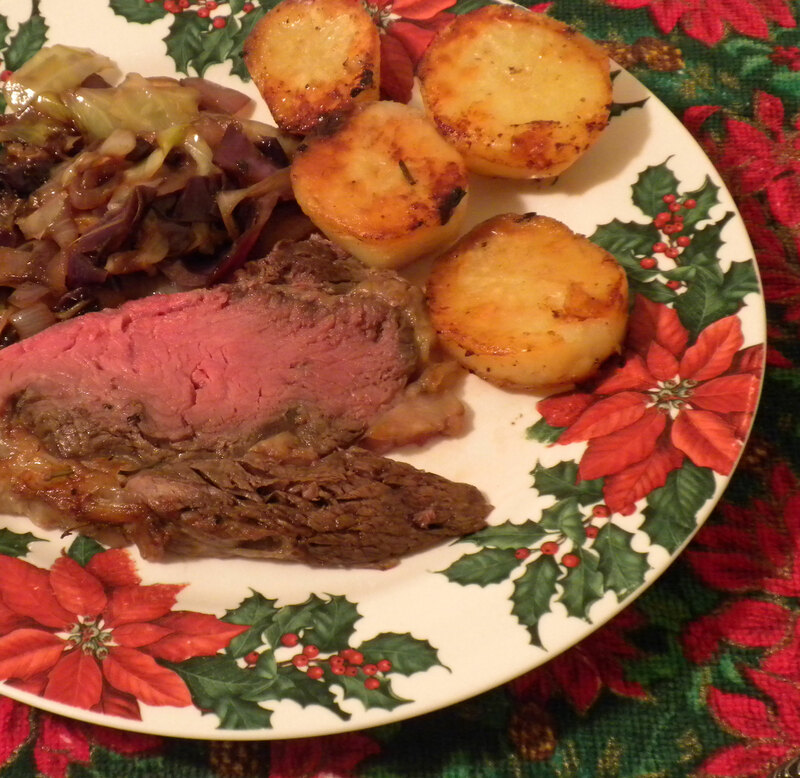 This delicious holiday meal of grassfed prime rib, pan-roasted potatoes, and sautéed cabbage was a joy to cook and eat. This holiday season, like all holiday seasons, is a time to give and receive. Gifts are a wonderful way to express your appreciation of another person, whether it is a relative or a friend. Some people are impressed by expensive, fancy gifts. I prefer gifts that give a real benefit, and the price or status of the gift is not important to me. A gift that shows something of the giver is often the best of all. A gift that gives pleasure, and supports joy, is a gift I cherish, both as a giver and a receiver. For me, this most magic of gifts is real food, skillfully and lovingly prepared. 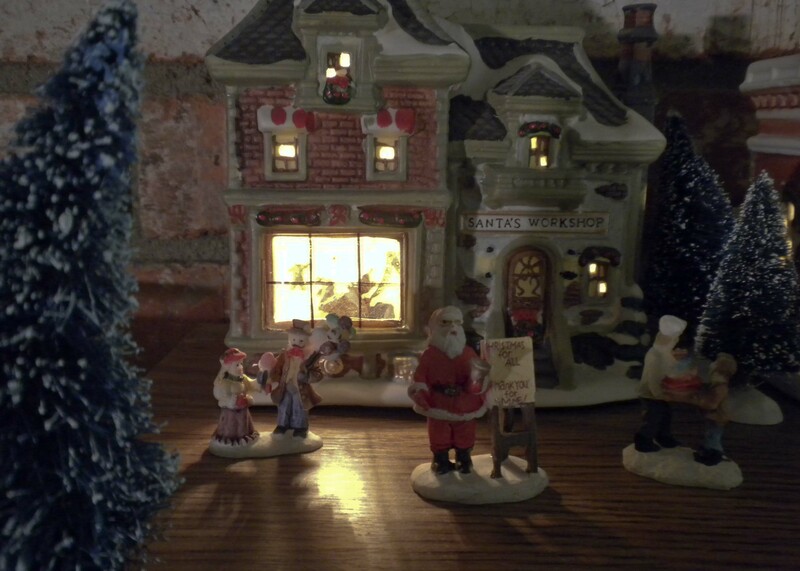 Many decisions are being made about gifts at this time of year. In modern times, we often think of commercial products like electronics, jewelry, designer clothing, and a host of other products when we are deciding what to give. Yet in older times, one of the most popular and appreciated gifts was that of food. Not just any food, but special foods that would not only be appreciated for their wonderful taste, but would nourish the body and soul of the receiver. These special foods were not factory candies and cakes, but some of the most nourishing and delicious real foods available. Not only was the giving of special foods a tradition, but the cooking of those foods by a skilled cook was a much-anticipated blessing of the holiday season, and great efforts were made to have this happen. This was true for almost everybody. For the poor, the holiday season might be one of the few times they actually had grassfed meat or pastured pork to eat, or another special meat such as goose, or duck, or a capon. Grassfed or pastured meat, or wild fish, were the featured highlight of holiday meals. The traditional European holiday feast dishes covered such wonderful dishes as roast prime rib of beef, pork loin roasted with the skin on, rack of lamb, saddle of lamb, roast stuffed goose, roast stuffed turkey, roast duck, and many others. What made these gifts unique is that they actually nourished the bodies of the lucky people who ate them, improving their natural functions and creating a wonderful feeling of well-being and contentment. Traditionally, these foods were real food, not factory food, and were exactly the kind of traditional food our bodies welcome and thrive on. It is true that many holiday foods were special desserts. But these were different than modern desserts. They always contained large amounts of saturated animal fat such as butter, lard, and egg yolks. They were only served at the end of a meal, when the eater’s body was well-nourished with traditional fats and other nutrients that protected the body from the effects of the sugar in the desserts. GMOs, pesticides, and artificial chemicals had no place in these wonderful, traditional foods. While you may not find much real food in the supermarket, local farmers and ranchers, and farmers’ markets often have wonderful real food available, including grassfed and pastured meat, and organic or the equivalent vegetables and fruits. There are some wonderful Internet sources of great grassfed and pastured meat. Three of my favorites are U.S. Wellness Meats, Homestead Natural Foods, and NorthStar Bison. Even the best quality real food needs a skilled cook. A skilled cook can turn the best natural ingredients into a feast that will provide great eating pleasure and nutrients to all who are lucky enough to share in the meal. If you can cook, the time and effort you put into making a holiday feast is a wonderful gift to all who eat it, and to yourself. If you do not think of yourself as a skilled cook, I have some good news. Cooking wonderful real food is easy, and simple. There is an old saying, “God gives us good meat, the devil sends us cooks.” The meaning of this saying is that high-quality food should not have its great natural taste overwhelmed by fancy and complicated cooking. The wonderful natural flavors and tastes of the food will do most of the magic for you. All you have to do is bring them out. 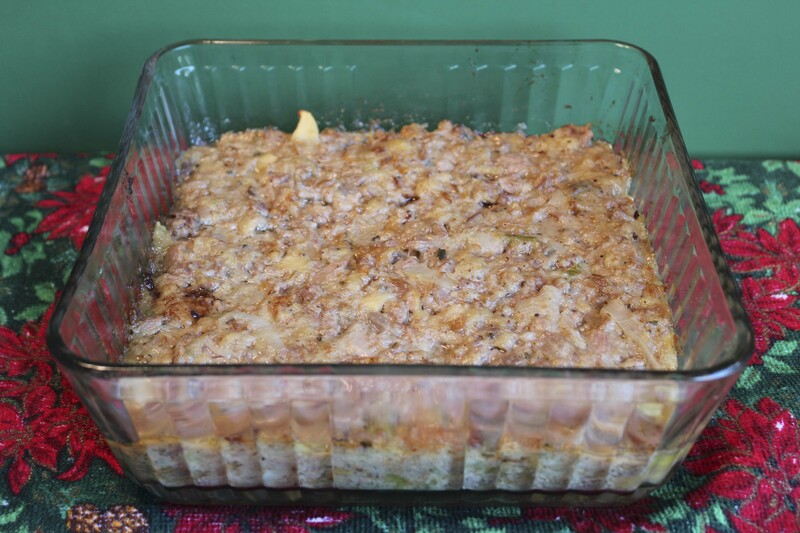 The recipes I use create wonderful food, yet most of them are very simple and easy to use. Tender Grassfed Meat and Tender Grassfed Barbecue are full of simple recipes for grassfed and pastured meat that result in wonderful food, cooked in an easy and natural way. I spend a big part of the holiday season planning and cooking the holiday feasts, as a gift to my loved ones. It is also a gift to me, as I also get to share in the feast!